Preheat the oven to 375 degrees F (190 degrees F). Grease a 9×13 inch baking dish. Place the tilapia fillets in the bottom of the baking dish and dot with butter. Season with seafood seasoning and garlic salt. Top each one with a slice or two of lemon. 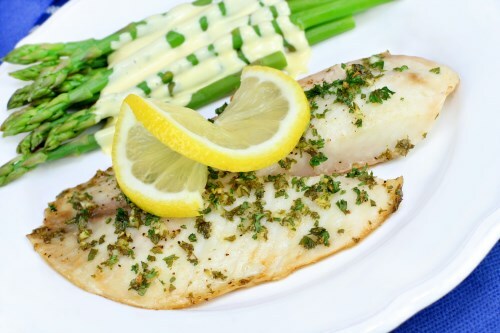 Arrange the frozen mixed vegetables around the fish, and season lightly with salt and pepper.